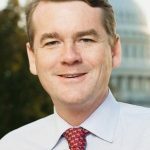 As Colorado Republican Sen. Cory Gardner faces tough telephone town-hall questions on his unsuccessful health care votes and U.S. Rep. Mike Coffman, R-Colo., touts bipartisan reform solutions, Colorado Democratic Sen. Michael Bennet is preaching vigilance. Gardner, who earlier this month voted unsuccessfully several times to dismantle the ACA, or Obamacare, fielded a long list of health-care questions during Wednesday’s telephone session. But Bennet argues getting it right means fixing the ACA’s problems, not gutting its key provisions and leaving millions without insurance while driving up rates for others. While Gardner voted repeatedly against Obamacare and in favor of the Senate version of Trumpcare, Coffman voted against the American Health Care Act, which narrowly passed the House in May. Despite many times voting to repeal the ACA when President Barack Obama was in the White House with his veto pen, Coffman, facing reelection in a politically diverse 6th Congressional District, was the only Colorado Republican to vote against Trumpcare in the House. Now Coffman is part of the bipartisan Problem Solvers caucus aiming to find workable solutions to runaway health insurance and health care costs. At a recent town hall, Coffman told the angry crowd that “partisanship is in my view the greatest problem in Washington, D.C.,” according to the Denver Post. President Donald Trump, meanwhile, has blasted Congress for leaving town for the August recess without passing some version of Trumpcare, and he’s cast doubt on whether he’ll continue to provide funding for subsidies to insurance companies to help cover lower-income Americans. Republicans and Democrats have joined in imploring the president to help stabilize the markets as key fall deadlines loom and insurance companies set rates for the coming year. Vox.com provides this useful primer on those deadlines and what the Trump administration can do to give the individual markets a boost.